A leaky toilet can waste up to 600 gallons of water per month! To check for leaks, put several drops of food coloring into the tank. If the color makes its way into the bowl, the toilet is leaking. For more information on detecting toilet leaks, visit the Toiletology 101 website. Install newer-model faucets and showerheads. Look for models with aerators and flow restrictors—they’ll cut your water usage dramatically. A new showerhead, for example, can cut water use up to 70 percent. The Eartheasy website offers tips for buying faucet aerators and low-flow showerheads. Turn water off while shaving or brushing teeth. You can save 4 gallons per minute. That’s 200 gallons per week! Plug the bathtub before turning water on and then adjust the temperature as the tub fills up. Why let good water go to waste while you’re waiting for it to heat up? For extra savings, fill the tub only half full. Find out what’s in your water. Request a water quality report from your local municipality; if your water comes from a well, have it independently tested. To help you interpret the report, consult the Water Quality Reports guide published by the National Sanitation Foundation (NSF). NSF provides detailed information about the significance of each contaminant in its Contaminant Guide. Consider installing a water treatment system. Choose a filter that has been certified by an independent testing organization like NSF or Underwriters Laboratory. Water filters are certified under two standards: Standard 42 and Standard 53. 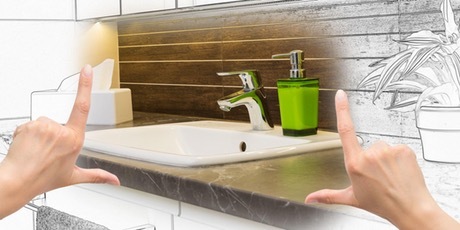 Standard 42 primarily addresses chlorine removal, appearance, and taste and odor concerns. Standard 53 reduces levels of contaminants that may pose a health risk. NSF publishes a directory of water treatment units it has certified. Use the simplest, least toxic cleaning and body care products. Chemical-laden products add unnecessary pollutants to our already overtaxed water systems; reducing this load is especially important in coastal areas, where household wastewater can harm sensitive marine ecosystems. Consult this fact sheet for information about toxic chemicals and safe substitutes.